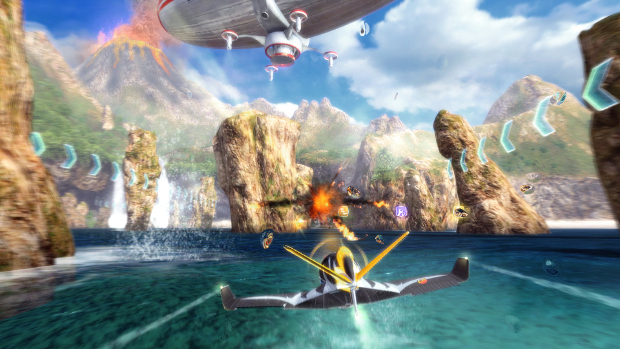 Ever since its announcement back in May, accompanied by a teaser trailer, there really hasn't been any information regarding Digital Reality's upcoming plane-racing title SkyDrift. Well, this has now all changed as Digital Reality have released the first developer diary, as well as announcing the release date for the game on Xbox LIVE Arcade. The developer diary is chopped full of gameplay footage showing off some beautiful environments that the race tracks in SkyDrift are based on. For an Xbox LIVE Arcade title, the graphics are looking spectacular. The diary calls the tracks throughout the game "living" as they apparently change during a race, which will ultimately affect gameplay. SkyDrift is set to launch on September 7. No release date for the PlayStation Network or PC have been given yet.